Rishard Matthews apparently has had enough. 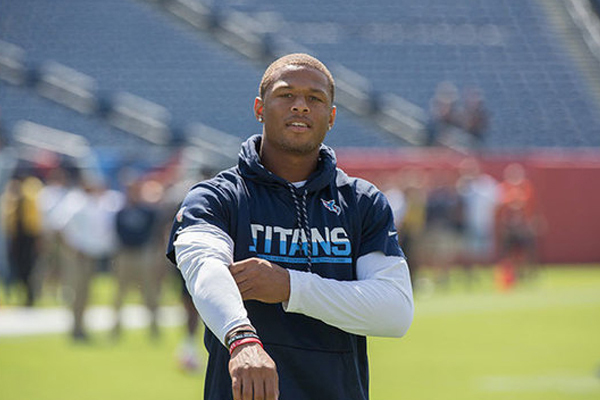 The Tennessee Titans wide receiver told A to Z Sports Nashville that he has requested his release from the team. Matthews texted NFL Network’s Tom Pelissero that the Titans have told him they’re granting his request and that he “would love to still play” somewhere, but the release is not official yet as there are some contractual issues. In August, Matthews signed a one-year contract extension with the Titans that had a base value of $7.75 million. He missed all of training camp due to a knee injury. Matthews led the Titans in receiving yards in each of the last two seasons and has three receptions for 11 yards through the first three games of the season.